Hello my name is Jack Schopp and I am a 5th grader on the Roborunners team 1313A. I have been in VEX IQ for 3 years now. I have enjoyed designing, building, and testing my ideas through TinkerCad and SnapCad for the past 2 years. 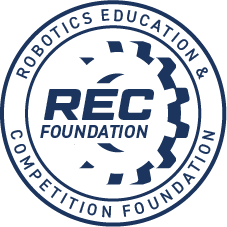 I have been the lead builder on my robotics team for the past 2 years as well. I have sometimes found it difficult to create a strong vertical support for my robot base. One that is strong enough to support the robot and any arm attachments to the robot. I have often thought it would be great if VEX IQ could make a piece that I specifically needed and now with this new On Line Challenge my dream has come true! 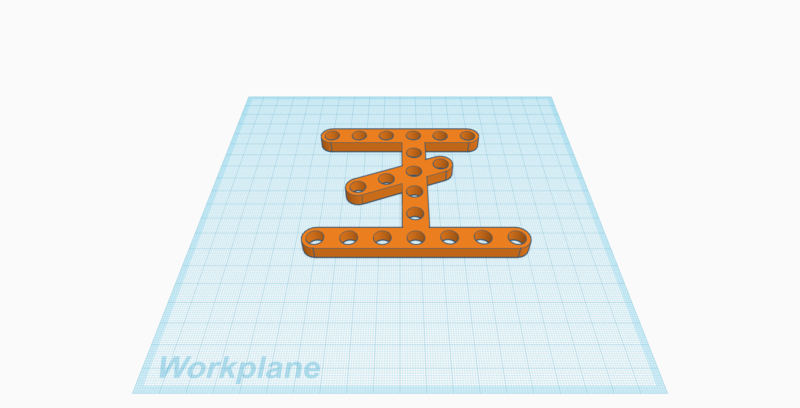 My plan was to design a piece using TinkerCad that would be very strong and have extra connecting supports to attach other parts to the base (for example an arm/claw or scoop design). I wanted to design a piece that would have multiple attachments that were all in the same plane that would not require overlapping pieces and pins to support what I was building. I have found that having multiple pieces pinned together created weak areas and often could not support the weight of large vertical pieces I was trying to attach to the robot base. My piece designed here will allow for extra attachments as one solid piece that is more stable. I have uploaded images of the Amazing Multitask Piece that I 3D printed. Some of my size dimensions do not match VEX IQ exactly. 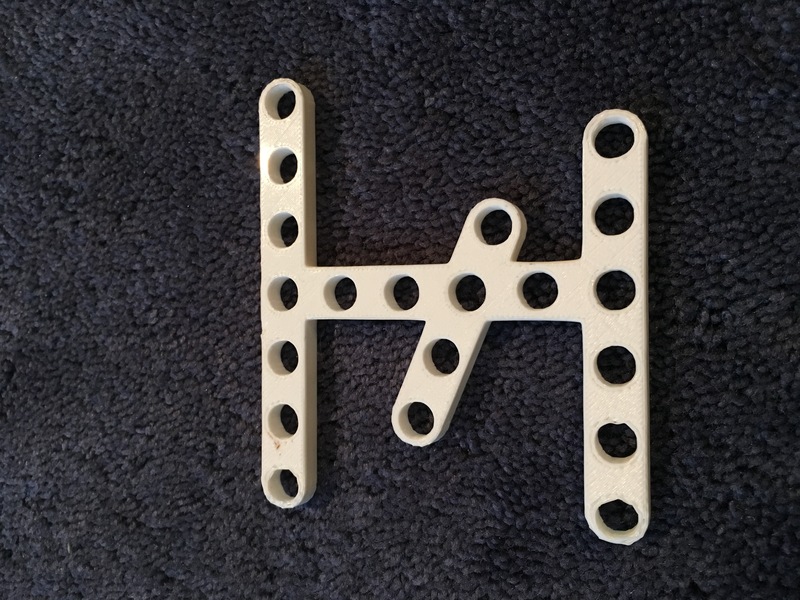 The holes for the pins were to large so I made some adjustments in Tinker cad and reprinted my piece. 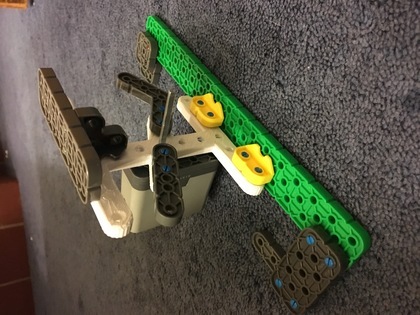 I then 3D printed Amazing Multitask Piece #2 and demonstrated it being used in a portion of a robot design. I work on Snap Cad, Tinker Cad or different Sketch programs almost every day and have been for 2 years now. Our robotics team uses Snap Cad on every one of its robotics designs. We usually come up with a strategy first then draw a few robot designs on paper. I am the lead Snap Cad student on my team. 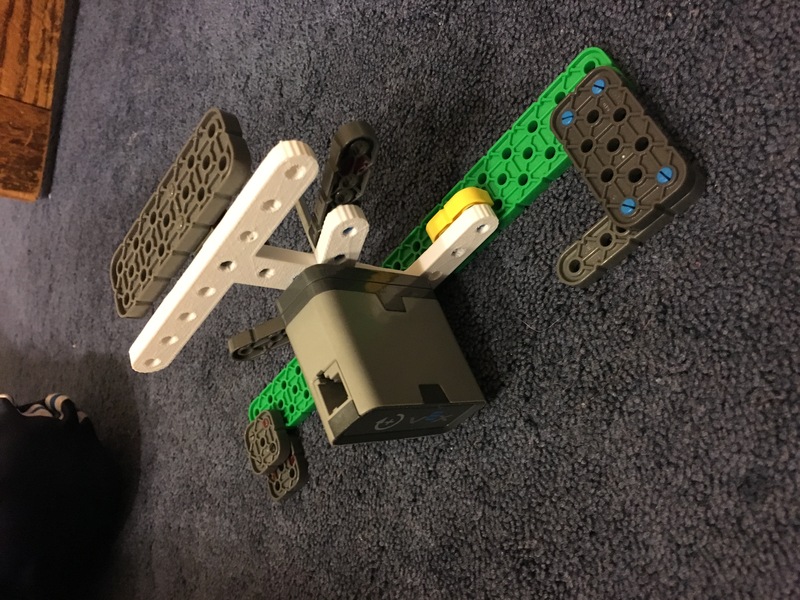 I Snap Cad small segments of the robot and then build them out of VEX IQ parts so we can test the design. We keep testing ideas until we find something that works well then I Snap Cad the whole robot and build it. My teacher at school has a 3D printer and I have made several designs on Tinker Cad and Snap Cad on my own outside of robotics. I have made bearings and parts for my home made Fidget Spinners and a model of a turbine that could spin in a rivers current to make rapids for kayakers in our area. I think Cad is really fun and it is neat to be able to build your designs on the computer before building it as a 3D model. The models can then be made into actual working things. I love to build things and testing my ideas. This would be fun to do as a job in the future. Please consider my idea for your next VEX IQ custom piece. Thank you- Jack Schopp. Excellent job, Jack. Very well thought out!